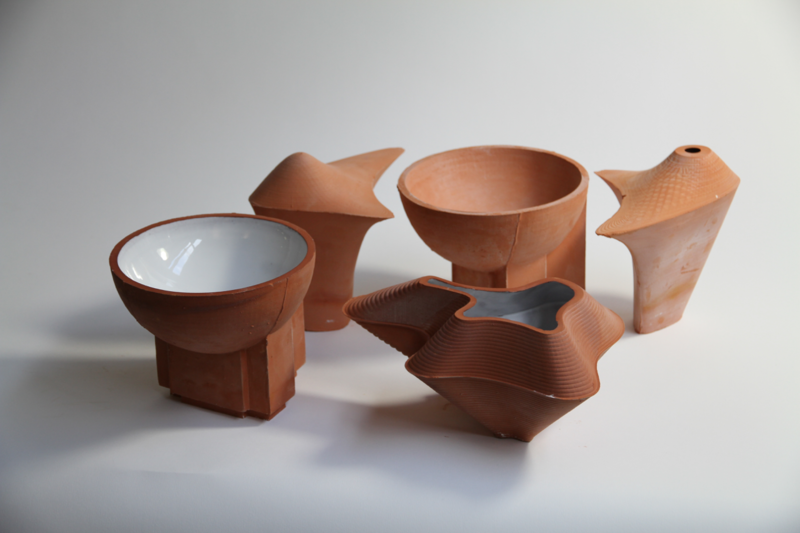 Ceramics using slip cast terracotta to make hollow objects; lightweight interlocking architectural models. 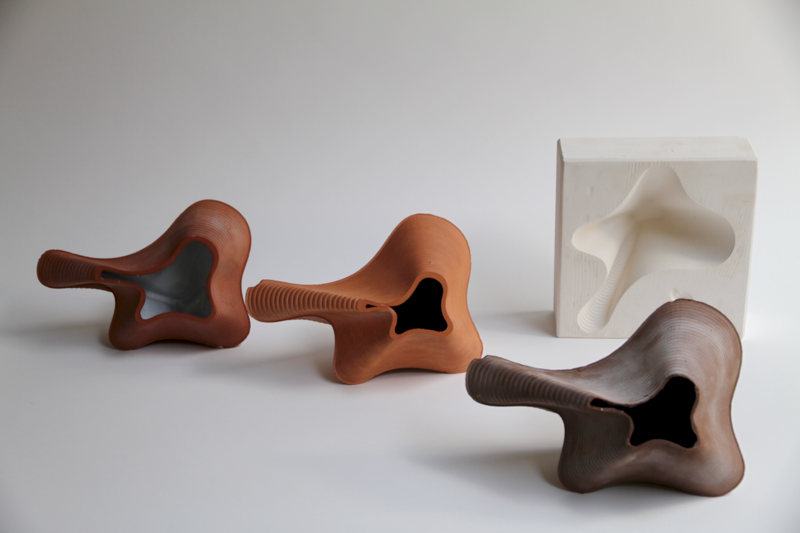 Material understanding is super important in architecture. Despite this age of beautiful digital renders, we need materiality, it’s the future – that’s where innovation happens, and will make buildings more environmentally appropriate. 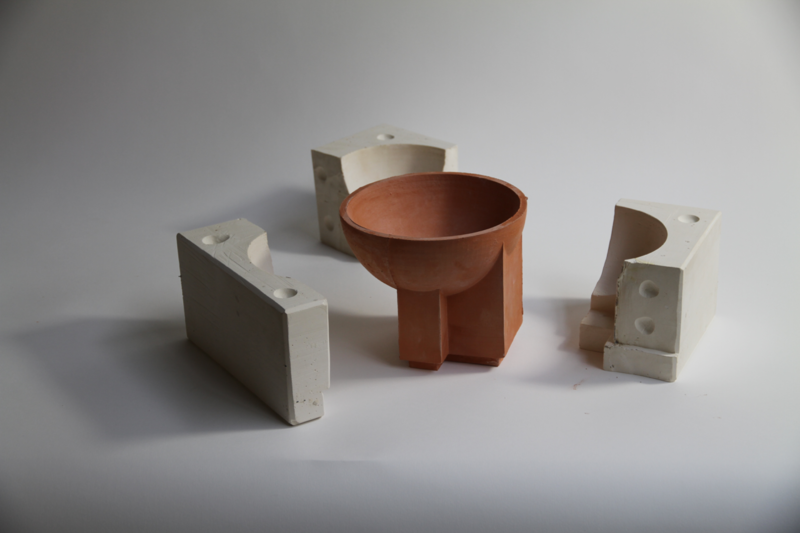 I have been making ceramics using slip cast terracotta to make hollow objects; lightweight interlocking architectural models. 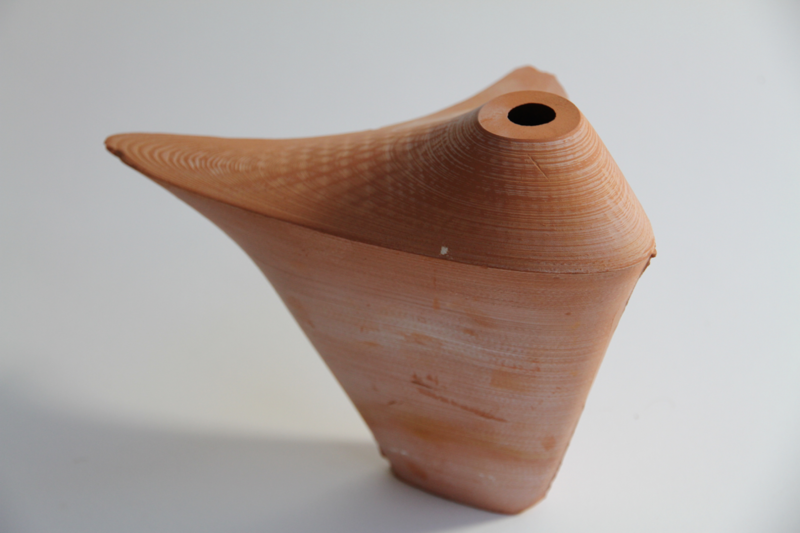 The ceramic body is interesting to me, it has different properties at different temperatures. It works as a cooling facade, sucking moisture at night, evaporating and cooling by day. 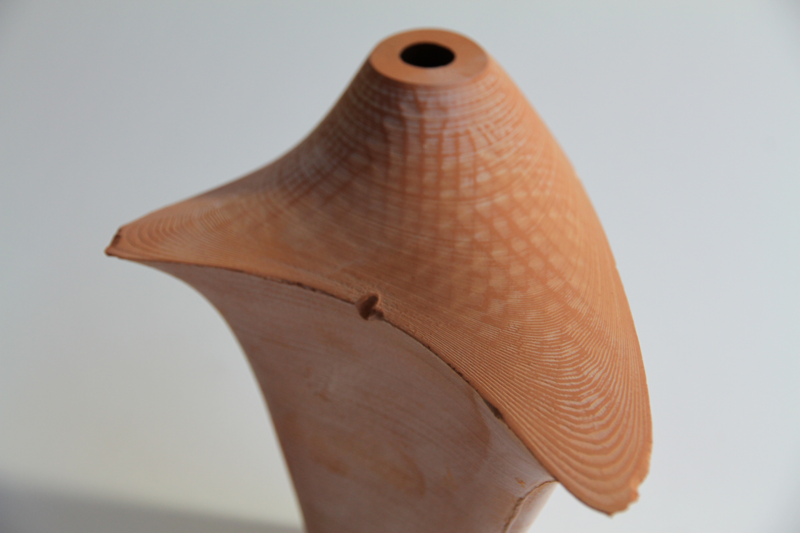 When terracotta is fired at a higher temperature it becomes darker red, stronger in compression and more efficient; you can tell the structural strength from the shades and gradations of the clay. 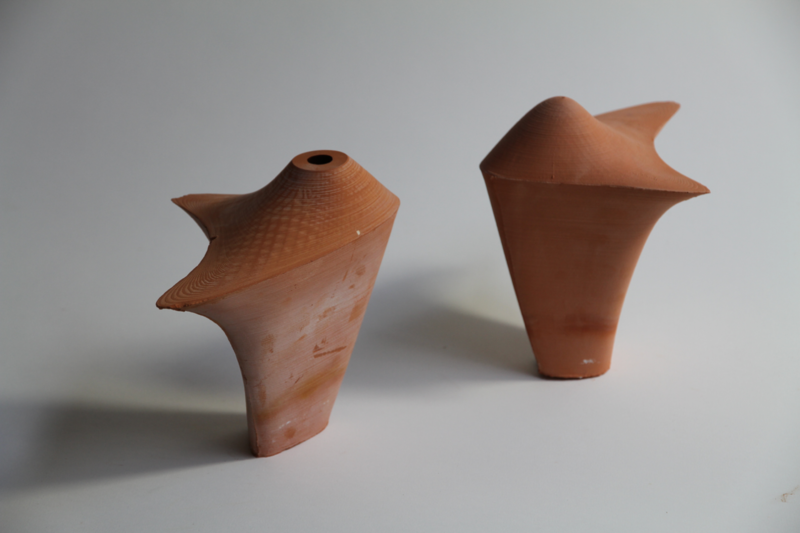 Some people show structural properties in models through colour, using 3D printed plastics, but with ceramic it seems more holistic.